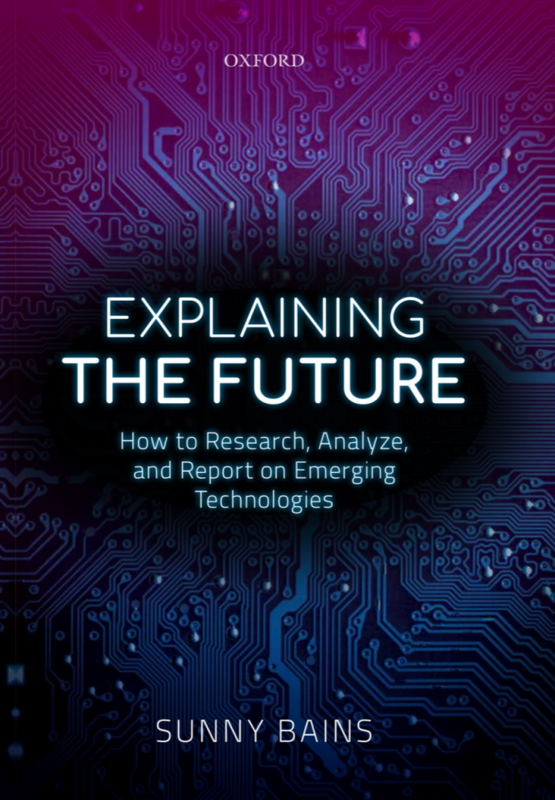 Dr Sunny Bains, author of a new book on emerging technologies, examines how to support students to make use of the technical literature and to look beyond it. The best engineers can be thrown in at the deep end of a new problem and research their way out. That’s part of the ethos of combining conventional academic courses with more practical, project-based learning. This approach forces students to discover constraints and compromises for themselves, optimizing their solutions as well and as creatively as they can, rather than solving well-constructed questions with tractable answers. Often, they do this work as part of a group. Deep-end problem-based learning ticks a lot of boxes: teamwork, creativity, critical thinking, application of technical skills, and so on. Unfortunately, what we choose to teach students formally before we launch them into these projects is often insufficient. Yes, they’re trained in the deep technical skills that we think they’ll need, and (if they’re lucky) even some of the transferable ones. But what we don’t normally teach them is how to systematically and thoroughly research a topic. More specifically, we don’t teach them where to look for answers to questions. Partly, this is because we are academics: to us the answer is usually a technical paper, possibly a book, and we’re so used to looking for these that we don’t think twice about it. But to use technical literature first you need to be able to search for and find what you need effectively. Even if you do find the papers you think you’re looking for, you may not yet have the expertise to read them. This is especially, but not exclusively, true for undergraduates. Further, once you’re in industry, journals and proceedings aren’t going to alert you to what your competition (possibly start-ups in stealth mode) are up to. If I had to prioritize, my top three suggestions for helping students to research a new subject would be as follows: keywords, the technical press, and patents. Although you might think that the current generation (which grew up with the iPhone, never mind the internet) would be more expert at finding material on the web than we were, that’s far from true. Just a few minutes teaching them some basics can go a long way. First, we all know that keywords are critical to all kinds of searches, including the technical literature, but what students don’t realize is how creative you have to be in using them. Very similar ideas often have different names in different fields, and searching for the wrong terms can miss most of the most important information. Students need to know to gather lots of different keywords from the various sources, and then to search for them in different combinations to find the information they need. Next, students should know that not all useful information has to be of the highly-technical variety. A good way of getting into a new field is to find news that’s readable but still contains specialist information. This might be in publications aimed at an industry (like Water and Wastewater Treatment), a society (like E&T Magazine), or even a popular science market like Wired. A good place to start for articles like this is Engineering Inspiration, a website we set up at UCL (and free for all) that brings together interesting technical articles from across the web (we have 50K+ articles online to date). Reading enough of this kind of material can do wonders to set the context for a project: with the constraints and values of the industry coming through in every story. Finally, patents (which are now freely available to search on the web) are a great source of information because they cover a lot of technology that is too commercially sensitive to be published in other forums. It’s true that they’re completely unreadable, but by following the breadcrumbs of who has filed what patent it’s possible to figure out who is doing roughly what. With a little imagination, engineers can pull together clues based on what the inventors did before the patent, who they’re working with now, what theydid before, and so make an educated guess about what is in the pipeline. The main thing is not to assume that students will somehow learn their research skills by osmosis. We forget how much we take for granted after a lifetime of information-gathering: by giving our students just a little bit of formal instruction on how to do this critical task, we can make them hugely more productive. Dr Sunny Bains (see sunnybains.com) is the author of Explaining the Future: How to Research, Analyze, and Report on Emerging Technologies.She teaches engineering and physical sciences students at University College London. The EPC and IET are delighted to launch six case study examples for each of the six new approaches. We believe this proves that the required changes can be achieved – are already being achieved – and that by taking their lead, other institutions can be inspired to come up with new approaches of their own. Download the New Approaches Case Studies. or view the press statement. New Approaches to Engineering Higher Education is on ongoing initiative that the EPC is running in partnership with the IET, with Professor John Perkins presiding as Chair. The aim is to encourage innovation in the sector’s approaches to policy, pedagogy and practice. The initiative was launched in May 2017 at a landmark conference held at the IET in London on innovative approaches to the teaching of engineering in universities in the UK and globally. One year on, the EPC hosted a round table meeting, at which the EPC, IET and senior HE stakeholders – including several vice-chancellors – met to take soundings on what we are calling ‘the Six Facets’ of innovative engineering higher education. In the Autumn of 2018, we hosted a further round table of stakeholders with a national policy perspective. Chaired by IET Chief Executive Nigel Fine and hosted by Stephen Metcalfe MP, Government Envoy for the Year of Engineering, the workshop was an opportunity for MPs, leading industry figures and academics to talk through some of the challenges that need to be addressed in order to create a successful engineering skills pipeline between schools, universities and industry that suits the needs of businesses, educators, students and the UK as a whole. A summary of the main points raised as well as recommendations for policymakers, industry and academia to take on board that were put forward in the meeting is available here. The Six Facets are common themes drawn from the papers presented to the New Approaches conference (the proceedings of which can be read here) that address fundamental problems: skills shortages; the shifting nature of engineering, the workforce and the demography of the student population; promoting inclusion and diversity. While the EPC isn’t seeking to impose the Six Facets on anyone – that isn’t our role – we have identified these as key indicators of an innovative and adaptive response to today’s challenges. Universities can use them as a marker by which to judge their progress and as an inspiration for further development. Incorporating creativity into engineering: To reflect developing industrial needs and to attract a broad range of applicants, engineering programmes should enhance and emphasise the creative and innovative nature of the work of engineers. Although maths and science are important, they are a necessary but not sufficient part of the required skill set. Broaden the diversity of students: The image of engineering means that women and ethnic minorities are far less likely to apply to study it. The emphasis (and the perception in schools of an emphasis) on maths and physics as a requirement to study engineering at top engineering schools also restricts access to the subject. This is especially true in physics where the proportion of female students at A-level is particularly low. Opportunities to increase the diversity of engineering students by proactive steps to address the image of engineering and the barriers to entry should be explored. A strong emphasis on project work: Students engage and are enthused by authentic and relevant engineering experiences. In engineering, a primary vehicle for this is the design project. However, it is not sufficient that these are only in the latter years once sufficient grounding in theory is achieved. They should be from day one and spread throughout the degree programme to develop skills and encourage active learning. Industry engagement in design and delivery: It is vital to work with industry to frame the skills graduates need and highlight to students their relevance and importance. This is particularly important to encourage students to enhance their transferable and employability skills. Experience of the workplace for students: The formation of the professional engineer is a process; one that involves education, training and experience. In an ideal world these are not separated. It is incumbent on academics and industry to work together to develop programmes that bridge the separation between university and work in a way that provides equal opportunities for all students, regardless of background and career aspirations. Greater interdisciplinarity: Modern engineering challenges and the global issues that most enthuse our current cohort of students will not be solved by any one discipline, but instead by teams of engineers from across the disciplines and non-engineers, bringing together their skills and expertise to create innovative solutions. We must prepare out students for this with appropriate experiences, such as undertaking complex projects in interdisciplinary teams. There has been a lot of support for the work of the EPC and IET so far and we will now be looking for exemplars from across the sector. If your work exemplifies one or more of the Six Facets, please contact the Chief Executive with your thoughts.